1. Hamel JF, Sébille V, Le Neel T, Kubis G, Boyer F, Hardouin JB (2017) What are the appropriate methods for analyzing patients reported outcomes in randomized trials when data are missing?. Statistical Methods in Medical Research, 26(6): 2897-2908. 2. de Bock E, Hardouin JB, Blanchin M, Le Neel T, Kubis G, Dantan E, Bonnaud-Antignac A, Sébille V (2016) Rasch-family models are more valuable than score-based approaches for analysing longitudinal PRO with intermittent missing data. Statistical Methods in Medical Research , 25(5): 2067–2087. 3. Hardouin JB, Blanchin M, Feddag ML, Le Neel T, Perrot B, Sébille V (2015) Power and sample size determination for group comparison on Patient Reported Outcomes using polytomous Rasch models. Statistics in Medicine, 34(16): 2444-55. 4. de Bock E, Hardouin JB, Blanchin M, Le Neel T, Kubis G, Sébille V (2015) Assessment of score and Rasch-based methods for group comparison of longitudinal Patient-Reported Outcomes with intermittent missing data (informative and non-informative). Quality of Life Research, 24(1): 19-29. 5. Hamel JF, Hardouin JB, Le Neel T, Kubis G, Roquelaure Y, Sébille V (2012) Study of different methods for comparing groups by analysis of subjective health measurements. PLoS One, 7(10): e44695. 6. Blanchin M, Hardouin JB, Le Neel T, Kubis G, Blanchard C, Mirallié E, Sébille V (2011) Comparison of CTT and IRT based-approach for the analysis of longitudinal Patient Reported Outcome . Statistics in Medicine, 30(8): 825-838. 7. Blanchin M, Hardouin JB, Le Neel T, Kubis G, Sébille V (2011) Analysis of longitudinal Patient-Reported Outcomes with informative and non-informative dropout: Comparison of CTT and Rasch-based methods. International Journal of Applied Mathematics & Statistics (IJAMAS), 24: SI-11A. 8. 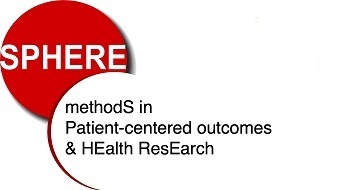 Sébille V, Hardouin JB, Le Neel T, Kubis G, Boyer F, Guillemin F, Falissard B (2010) Methodological issues regarding power of Classical Test Theory (CTT) and Item Response Theory (IRT)-based approaches for the comparison of Patient-Reported Outcomes in two groups of patients - A simulation study. BMC Medical Research Methodology, 10: 24. 9. Küry S, Buecher B, Robiou-du-Pont S, Scoul C, Colman H, Le Neel T, Le Houérou C, Faroux R, Ollivry J, Lafraise B, Chupin LD, Sébille V, Bézieau S (2008) Low-penetrance alleles predisposing to sporadic colorectal cancers: a French case-controlled study.. BMC Cancer(8): 326. 10. Küry S, Buecher B, Robiou-du-Pont S, Scoul C, Colman H, Lelièvre B, Olschwang S, Le Houérou C, Le Neel T, Bourdon J, Faroux R, Ollivry J, Lafraise B, Chupin LD, Bezieau S. (2007) The Thorough Screening of the MUTYH Gene in a Large French Cohort of Sporadic Colorectal Cancers.. Genet. Test., 11(4): 373-380. 11. Küry S, Buecher B, Robiou-du-Pont S, Scoul C, Sébille V, Colman H, Le Houérou C, Le Neel T, Bourdon J, Faroux R, Ollivry J, Lafraise B, Chupin LD, Bezieau S. (2007) Combinations of cytochrome P450 gene polymorphisms enhancing the risk for sporadic colorectal cancer related to red meat consumption.. Cancer Epidemiol Biomarkers Prev., 16(7): 1460-1467. 12. Piazza L, Le Neel T, Morin D, Truchaud A (2006) Avancées technologiques et intégration de la biologie délocalisée dans les établissements de soins. ITBM-RBM, 27(2): 80-88. 13. Le Neel T, Caillet C, Morin D, Baudiment C, Pegon Y, Truchaud A (2005) Development and qualification of an automated workcell that includes a multicapillary zone electrophoresis instrument. JALA, 10(1): 54-58. 14. Caillet C, Pegon Y, Le Neel T, Morin D, Baudiment C, Truchaud A (2005) Qualification of robotic laboratory equipment. JALA, 10(1): 48-53. 15. Triaud F, Clenet DH, Cariou Y, Le Neel T, Morin D, Truchaud A (2003) Evaluation of automated cell culture incubators. JALA: . 16. Triaud F, Darmon C, Cariou Y, Ferry N, Le Neel T, Clenet DH, Morin D, Fraudeau C, Blanchard D, Truchaud A (2003) Evaluation of an automated cell culture incubator: the autocell 200. JALA: 87-95. 1. (Soumis) Blanchin M, Hardouin JB, Le Neel T, Kubis G, Sébille V (2016) CTT and Rasch-based approaches for joint analysis of group and time effects of longitudinal Patient Reported Outcomes: impact of dropout mechanisms..
1. Blanchin M., de Bock E., Kubis G., Le Neel T., Sébille V., Hardouin J.B. Rasch and CTT-based approaches for joint analysis of group and time effects of longitudinal Patient Reported Outcomes: impact of informative and non-informative missing data. 4th International Outcome Measurement Conference, April 21-22 2015, Chicago, USA, 2015. 2. de Bock E., Hardouin J.B., Blanchin M., Le Neel T., Kubis G., Dantan E., Sébille V. Analysis of longitudinal Patient-Reported Outcomes with intermittent missing data (informative and non informative): comparison of score and Rasch-based methods. 19th Annual Conference of ISOQOL, 24-27 october 2012, Budapest, Hongrie, Quality of life research 2012, 21: 42-43, 2012. 3. Hamel J.F., Hardouin J.B., Le Neel T., Kubis G., Sébille V. Detection of a group effect for patients reported outcomes with Rasch models in the presence of possibly informative missing values. Congrès PROQOL: Patient Reported Outcomes and Quality of Life, 2011, Paris, France, 2011. 4. Sébille V., Blanchin M., Feddag M.L., Amri S., Le Neel T., Kubis G., Guillemin F., Falissard B., Hardouin J.B. Methodological issues regarding the planning and the analyses of PRO related studies. 6th Congress of the Italian Society of Medical Statistics and Clinical Epidemiology (SISMEC), Ancona, Italia, 2011. 5. Hamel J.F., Hardouin J.B., Le Neel T., Kubis G., Sébille V. Rasch models to detect a group effect for Patients Reported Outcomes with possibly informative missing data. International Workshop on "Patient Reported Outcomes and Quality of Life", Annales de l'ISUP (2011), 55(2): 49-52, 2011. 6. Sébille V., Falissard B., Amri S., Feddag M.L., Le Neel T., Kubis G., Guillemin F., Hardouin J.B. Sample size determination for IRT Why should it differ from CTT?. International Workshop on "Patient Reported Outcomes and Quality of Life", Annales de l'ISUP (2011), 55(2): 73-74, 2011. 7. Hardouin J.B., Falissard B., Le Neel T., Kubis G., Guillemin F., Sébille V. Comparison of classical test and item response theories in health. 31st annual conference of the international society of clinical biostatistics (ISCB), August 31-September 2, 2010, 2010. 8. Blanchin M., Hardouin J.B., Le Neel T., Kubis G., Sébille V. Comparison of three methods for the analysis of longitudinal Patient Reported Outcomes. Probabilistic models for measurement in education, psychology, social science and health, June 13-16, 2010, 2010. 9. Hardouin J.B., Falissard B., Le Neel T., Kubis G., Sébille V. Power with CTT and IRT based approaches for the comparison of two groups of patients. 16th International Meeting of the Psychometric Society, 2009. 10. Blanchin M., Hardouin J.B., Le Neel T., Kubis G., Sébille V. Comparison of three methods for the analysis of longitudinal patient reported outcomes. 16th International Meeting of the Psychometric Society, 2009. 1. Perrot B., Le Neel T., Hamel J.F., Blanchin M., Sébille V., Hardouin J.B. PRO-Online: a free online software to analyse patient-reported outcomes using various paradigms of data analysis. 21h Annual Conference of the ISOQOL, 15-18 october 2014, Berlin, Germany, Quality of life research 2014, 23: 118-119, 2014. 2. Hardouin J.B., Blanchin M., Hamel J.F., Le Neel T., Sébille V. Online analyses of PRO using CTT and IRT methods for the validation or the analysis of scale or for the planning of studies. 20th annual conference of the ISOQOL, October 9-12, 2013, Miami (USA), Quality of life research 2013, 22, 2013. 3. de Bock E., Hardouin J.B., Blanchin M., Le Neel T., Kubis G., Sébille V. Analysis of longitudinal Patient-Reported Outcomes with intermittent missing data (informative and non informative): comparison of score or Rasch-based methods. International Workshop on "Patient Reported Outcomes and Quality of Life", Annales de l'ISUP (2011), 55(2): 43-46, 2011. 4. Hamel J.F., Hardouin J.B., Le Neel T., Kubis G., Sébille V. Rasch models to detect a group effect for Patients Reported Outcomes. 31st annual conference of the international society of clinical biostatistics (ISCB), August 31-September 2, 2010, 2010. 5. Blanchin M., Hardouin J.B., Le Neel T., Kubis G., Sébille V. Analysis of longitudinal Patient Reported Outcomes with missing data. 31st annual conference of the international society of clinical biostatistics (ISCB), August 31-September 2, 2010, 2010. 6. Hamel J.F., Hardouin J.B., Le Neel T., Kubis G., Sébille V. Rasch models to detect a group effect for Patients Reported Outcomes. International Society for Clinical Biostatistics congress, 2010, France, 2010. 7. Blanchin M., Hardouin J.B., Le Neel T., Kubis G., Sébille V. Comparison of three methods for the analysis of longitudinal Patient Reported Outcomes. 6th International Meeting on Recent Advances & Trends in Statistics Applied to Clinical Trials, 2009. 8. Hardouin J.B., Falissard B., Le Neel T., Kubis G., Sébille V. Power with CTT and IRT based approaches for the comparison of two groups of patients. . 6th International Meeting Recent Advances & Trends in Statistics Applied to Clinical Trials, 2009. 9. Blanchin M., Hardouin J.B., Le Neel T., Bonnaud-Antignac A., Sébille V. Comparison of three methods for the analysis of longitudinal Patient Reported Outcomes. Journées Scientifiques de l’Université de Nantes, juin 2008, Nantes, 2008. 1. de Bock E., Hardouin J.B., Blanchin M., Le Neel T., Kubis G., Sébille V. Comparaison de la CTT et de l'IRT pour analyser des PRO longitudinaux comportant des données manquantes intermittentes. Chronic diseases, adaptation and perceived health: stakes and future - Young Researchers Days, 3-6 juin 2014, Nancy, 2014. 2. Sébille V., Blanchin M., Guilleux A., Rouquette A., Feddag M.L., Le Neel T., Kubis G., Falissard B., Guillemin F., Hardouin J.B. How could we design studies on PRO data? The PLANIPRO project. Evaluation et analyse de la qualité de vie : nouveaux développements méthodologiques, 3-4 avril 2014, Montpellier, 2014. 3. de Bock E., Hardouin J.B., Blanchin M., Le Neel T., Kubis G., Dantan E., Sébille V. Analyse de PRO recueillis de façon longitudinale et comportant des données manquantes intermittentes potentiellement informatives : comparaison de modèles issus de la théorie classique des tests et de la théorie de réponse aux items. GDR statistique et santé, 20 et 21 septembre 2012, Rennes, France, 2012. 4. Blanchin M., Hardouin J.B., Le Neel T., Kubis G., Sébille V. Comparaison de trois méthodes d’analyse des variables latentes longitudinales,. 41èmes Journées de Statistique - Bordeaux, 2009. 1. Perrot B., Le Neel T., Hamel J.F., Blanchin M., Sébille V., Hardouin J.B. Online analyses of PRO using CTT and IRT methods for the validation or the analysis of scales or for the planning of studies. 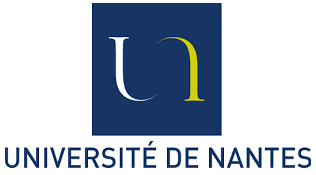 Chronic diseases, adaptation and perceived health: stakes and future - Young Researchers Days, 3-6 juin 2014, Nancy, 2014. 2. Blanchin M., Hardouin J.B., Le Neel T., Kubis G., Sébille V. Comparison of three methods for the analysis of longitudinal Patient Reported Outcomes. Epidémiologie et Biomètrie 2008, 2008. 3. Blanchin M., Hardouin J.B., Le Neel T., Kubis G., Bonnaud-Antignac A., Sébille V. Comparison of three methods for the analysis of longitudinal Patient Reported Outcomes. Biostatistique et mesures subjectives en santé, Nantes, 2008, 2008. 4. Hardouin J.B., Le Neel T., Kubis G., Sébille V. Comparaison de mesures issues de Patients Reported Outcomes entre deux groupes de patients : identification de facteurs influant sur la puissance. Biostatistique et mesures subjectives en santé, Nantes, 2008, 2008.